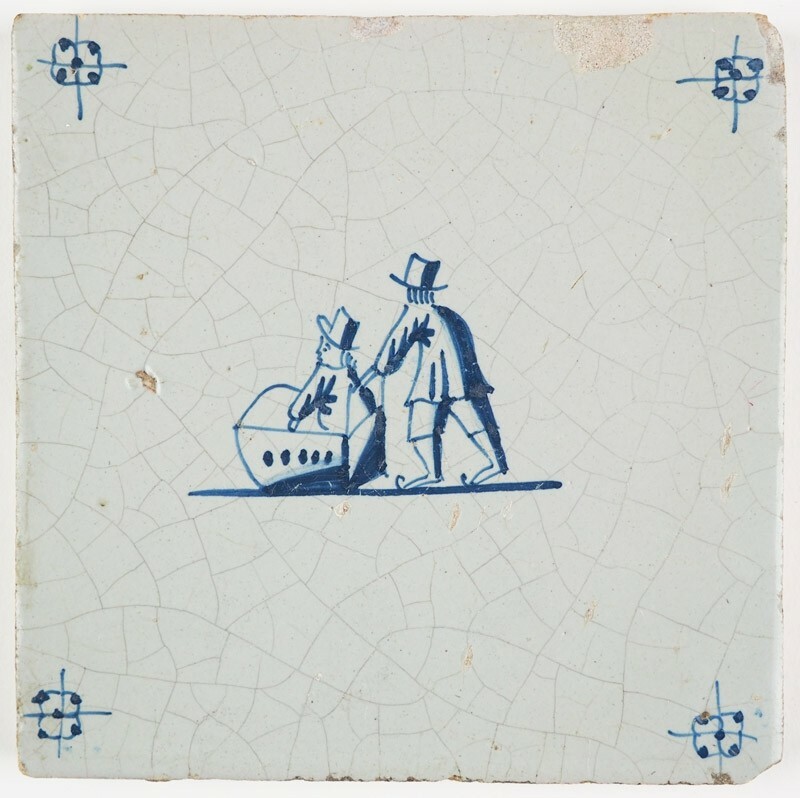 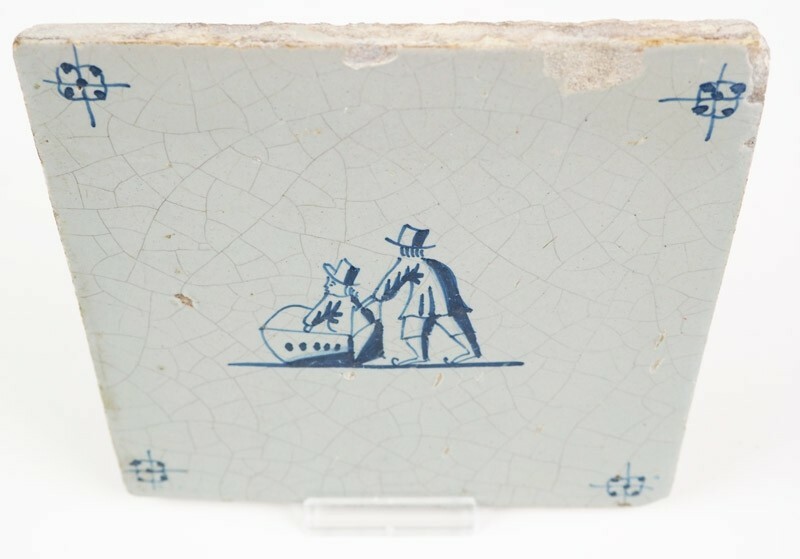 This lovely antique Delft tile in blue depicts a child in a sledge being pushed by a figure on ice skates. 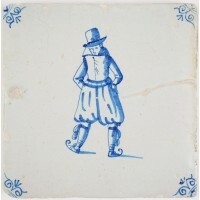 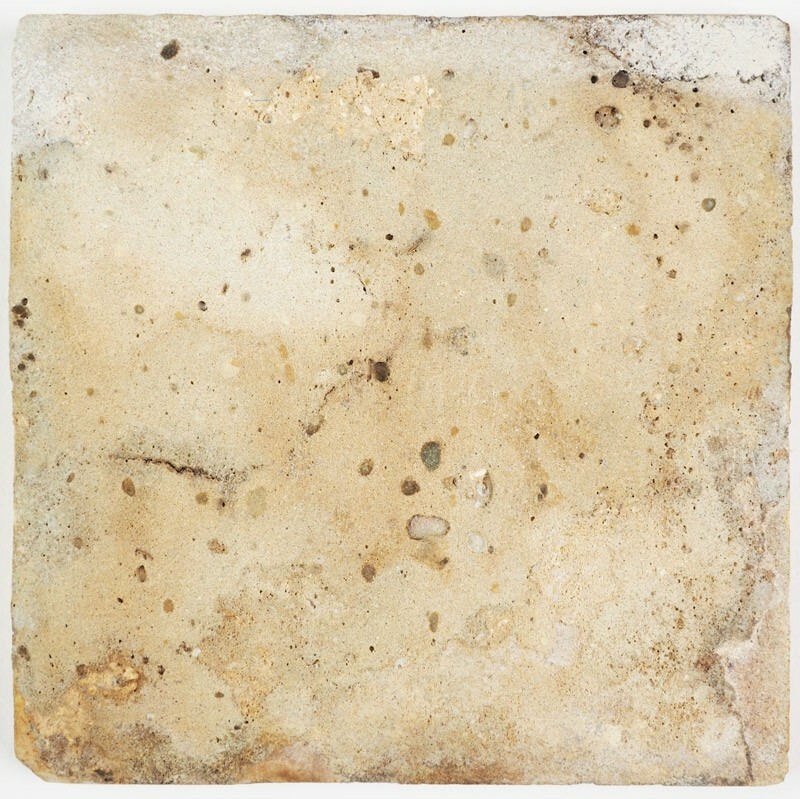 The tile is decorated with 'spider' corner motifs and dates from around 1670. 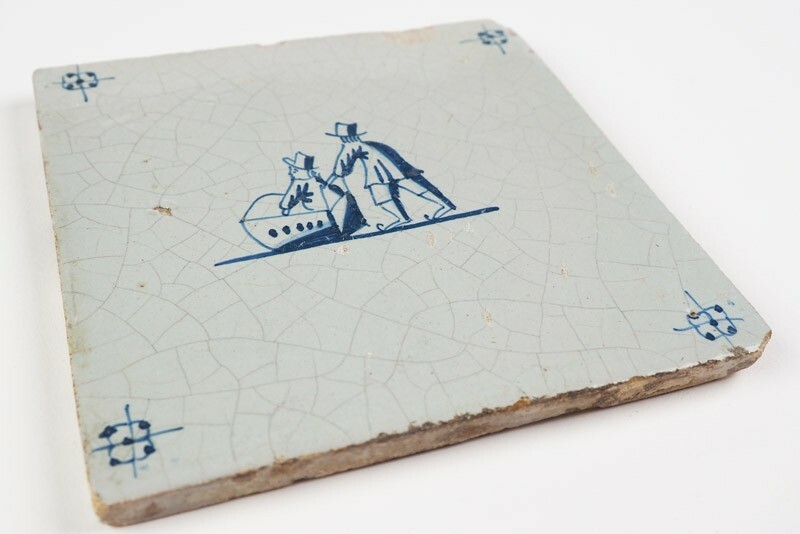 It is in a good condition with just a small covered up chip on the top side.